A simple recipe definition of this desert is a coffee soaked biscuit base with raw eggs, layers of Mascarpone cream, sugar and powdered chocolate. But taste this sensual dessert and one finds it is so much more, sitting back and licking the back of one's spoon while letting one's mind wander, one feels the good vibes of a loving embrace, the smile of a friend and a warm Mediterranean welcome. Even its name -Tiramisu- is filled with Latin pride, it's a word that literally means “pick-me-up” a cryptic name that alludes to it's rumoured aphrodisiac properties. 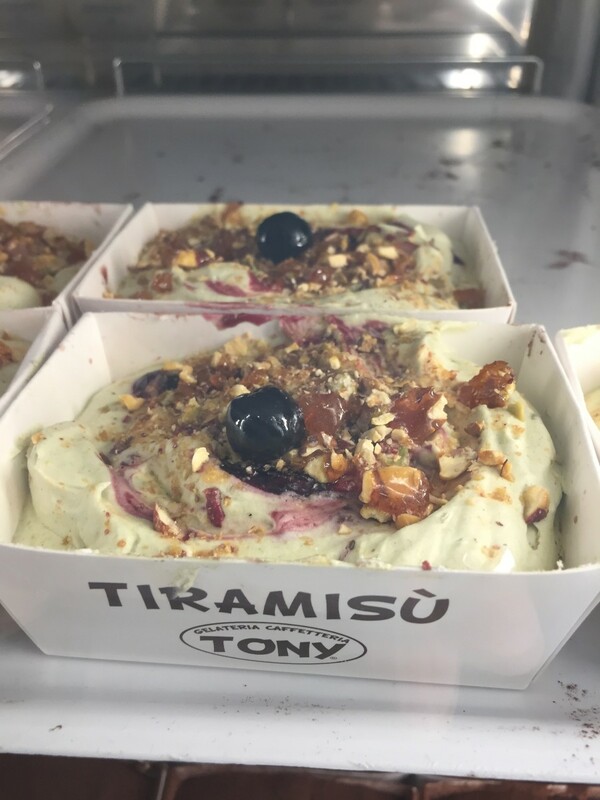 Those tempted to taste this luxurious treat are tasting a national identity, a food craving that still fills the longing hearts of a coffee drinking Italian diaspora wishing for home and the familiarity of the old country. Since medieval times people have been scoffing fruit fool a cream, fruit, sugar and spice flavoured desert and drinking Syllabub a dairy beverage made from cream, curdled with the addition of wine or cider with added sugar. In Italy, cooked cream or Panna Cotta has been made in the diary rich Piedmont region and across Europe since the early 1900s. Mascarpone a stiff set dairy cream is another main ingredient. 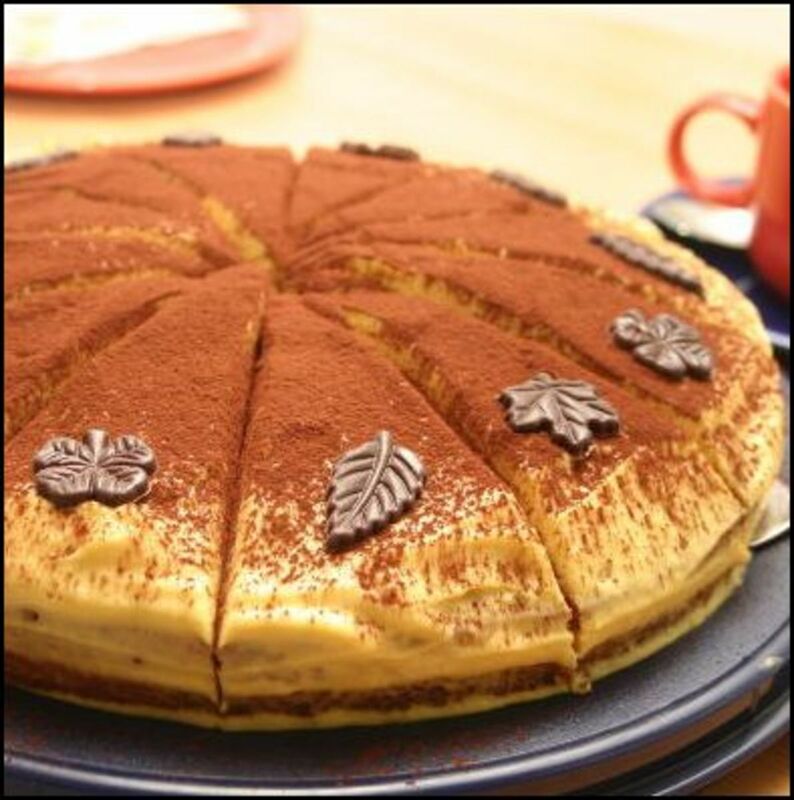 Tiramisu's other primary ingredient is the Savoiardi, a light Italian biscuit made with a sponge cake mixture that was invented in the late 15th century and rumoured to have been created in the court of the Duke of Savoy in Turin to mark the occasion of a visit by the king of France. The third most important ingredient is chocolate. 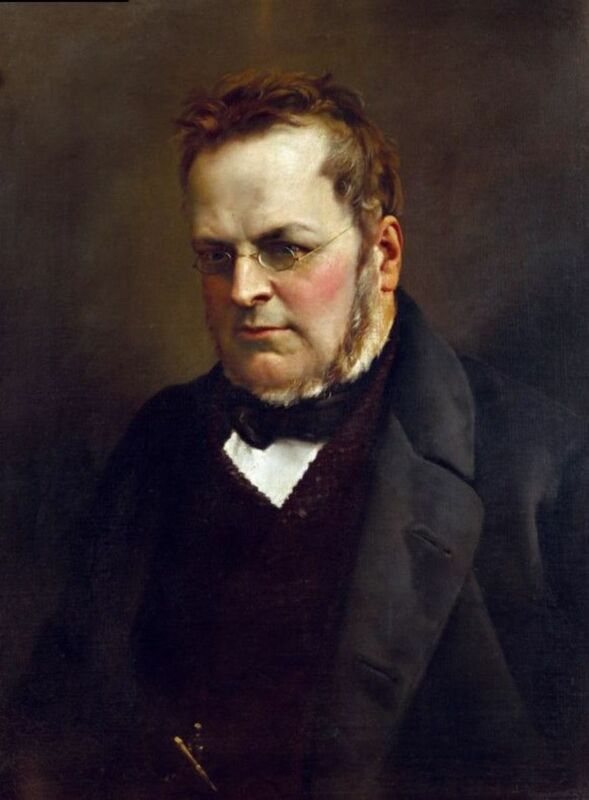 The dialect speaking Piedmontese have had a weird relationship with chocolate ever since the 1800's when they feared running out of this essential ingredient, due to activities of the French Emperor Napoleon who interrupted supplies from South Africa. Back then faced with low supplies and desperate for their chocolate treat the resourceful locals added ground hazelnuts, a cheap plentiful ingredient, to create Gianduiotto. It's also where Italians got their famous chocolate breakfast spread from too. Majani a centuries old Bologna-based company even makes Fiat branded chocolates to keep the kids quiet on long journeys, so It's not surprising they now sprinkle the magic powder on desserts in enormous quantities. 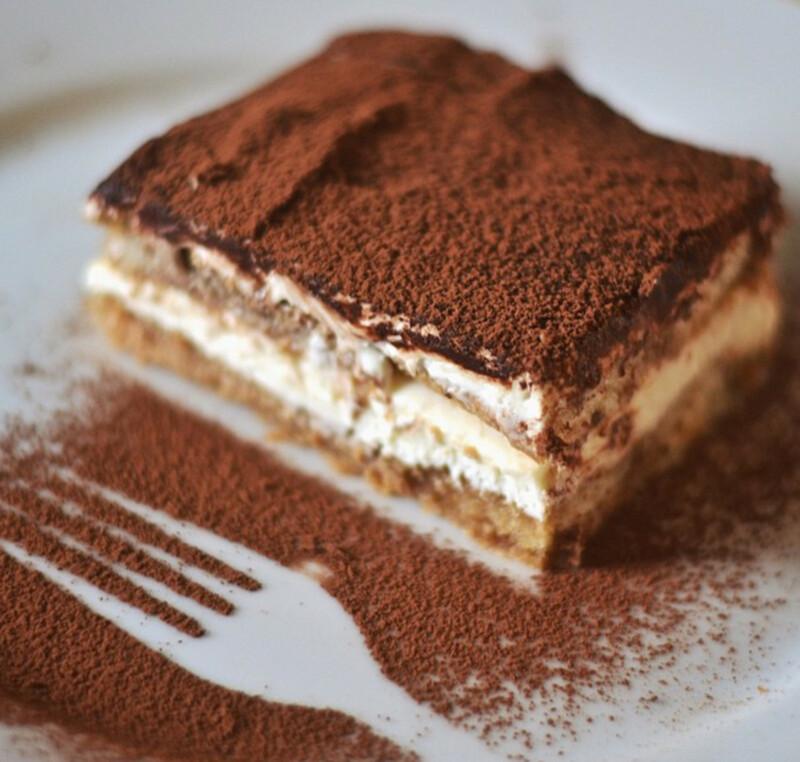 Tiramisu's origins are vague but according to legend it was created to restore the energy levels of Camillo Benso, the busy Count of Cavour after the marathon efforts he expended helping organise the Unification of Italy in 1871. 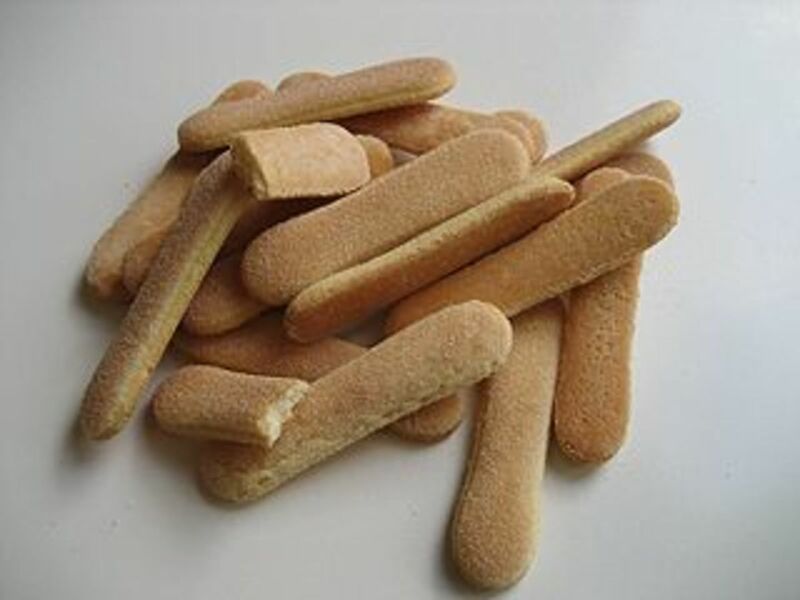 It became popular in the 1960’s, with evidence suggesting it was being made in restaurants in Treviso, Veneto, Italy before becoming popular in Venice and spreading south. Tiramisu is a sort of superfood nutrient and energy-rich full of antioxidants and essential minerals. In its country of origin, it is given to children and consumed by athletes in training to build strong bodies while busy burning calories playing sports in the sun, but it also has some less obvious and subtle benefits. It is a luxurious but egalitarian food that anyone can make that represents a social equality that many still aspire to whilst also being a way to express ethnic identity. 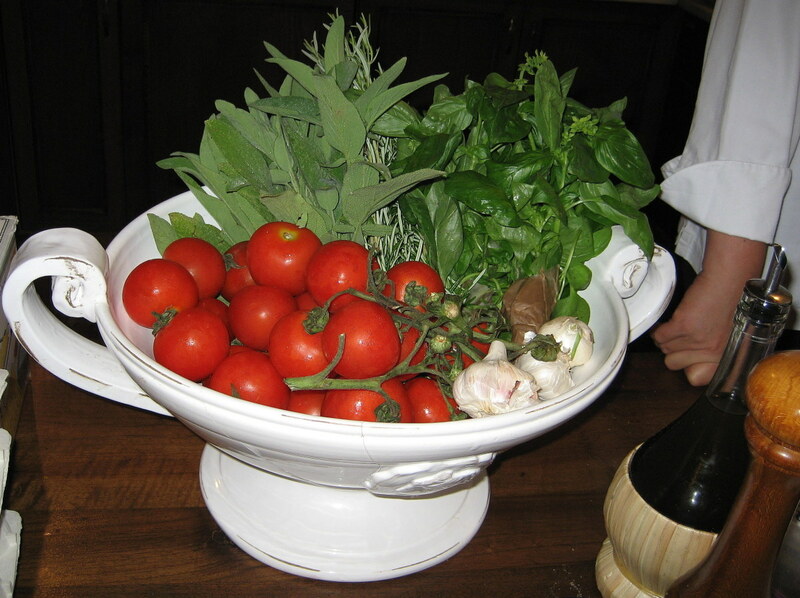 Today this dish is a constant feature of Italian Dopo Cena, where everyone from teenagers to housewives picks up a guitar to sing songs after dinner. Food has long been a way to strengthen ties with community long meal times treated as a daily ritual by the family group, but this dish also encourages the virtue of self-control and anticipation of reward, as it has to rest for 30 minutes chilling in the refrigerator before eating. 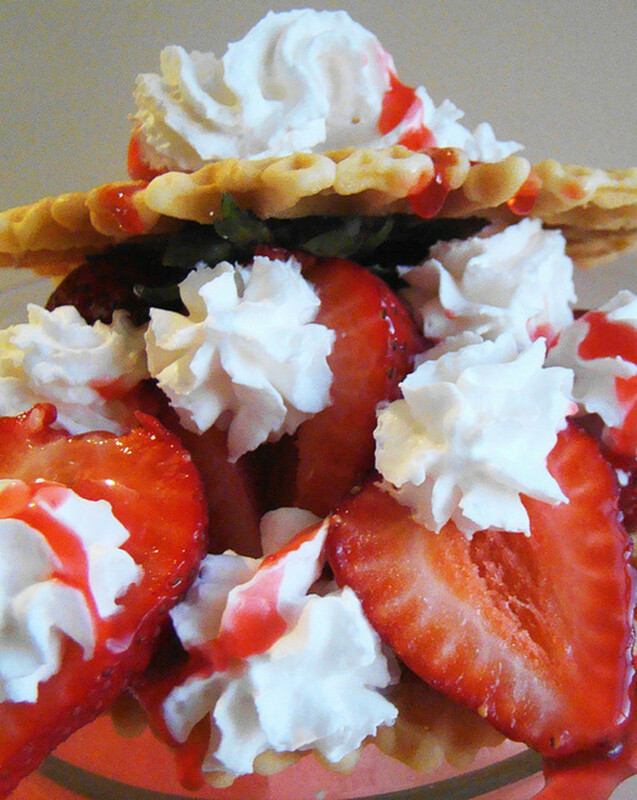 It's a sweet concoction that moves effortlessly through a fluid world of exchanged culinary traditions. While In the 1960's it represented a sense of increased prosperity after years of shortage, today on the Internet, international chefs experiment collectively with their own individual recipes creating new trends and subcultures. 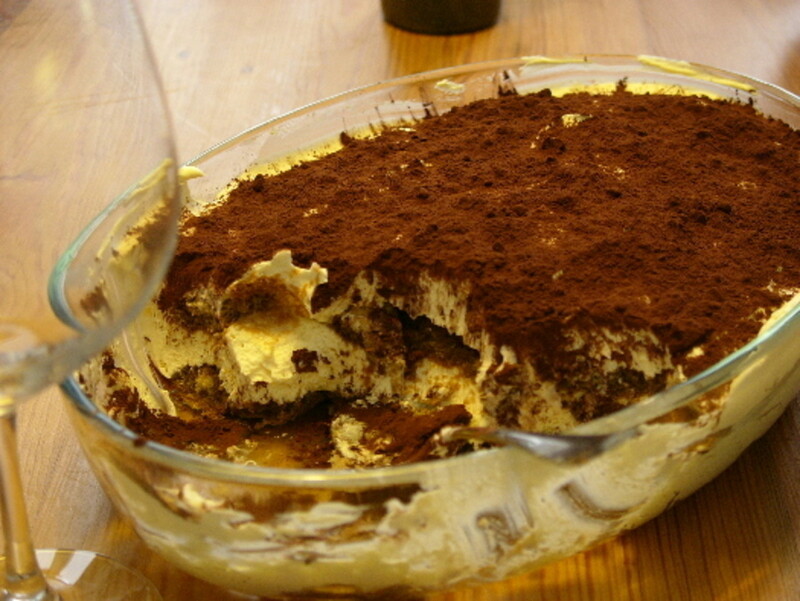 In the post-war period, the dish took on a mass appeal, it is mostly an alcohol-free dessert but it has an adult version with added Marsala wine sometimes called Argentinian Tiramisu. 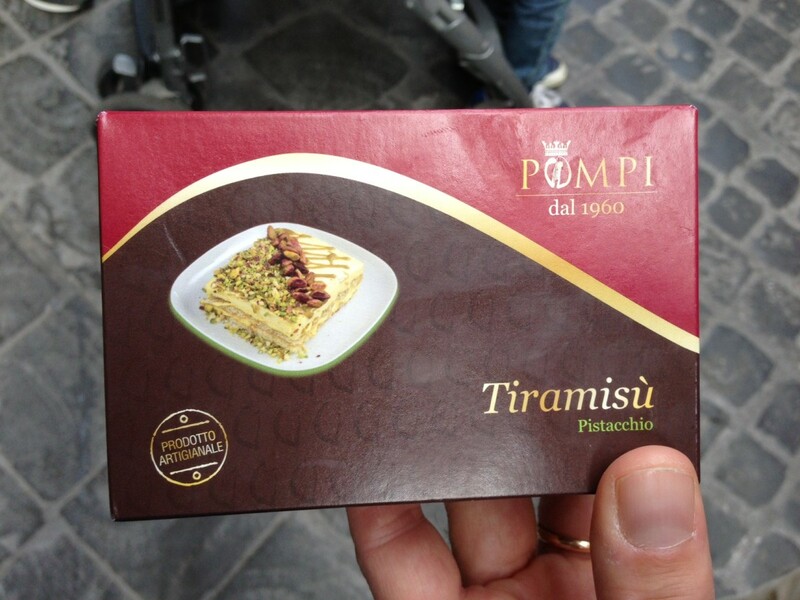 With strong demand, many small bars started making different flavoured versions and in Rome, a bar franchise called Pompi launched a range of takeaway desserts in a distinctive party portable box launched from a specialised parlour started in 1960. The first was located in San Giovanni a central tourist area of the city. Non-gluten and non-lactose options are available too. 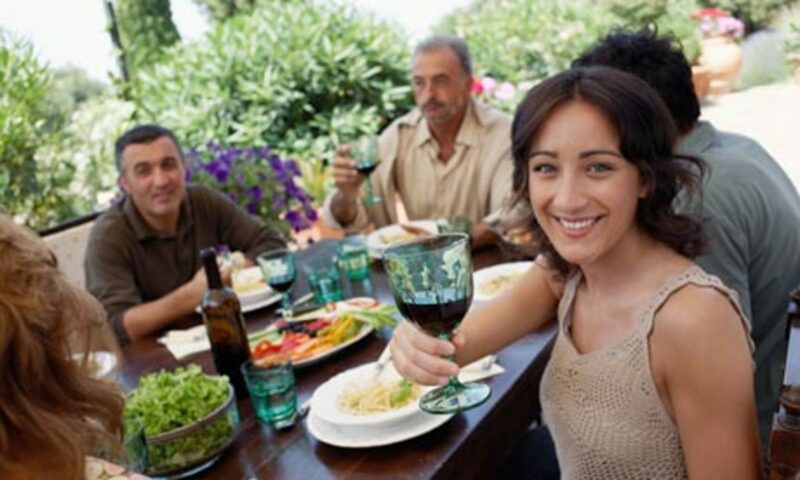 Italian families seeking to create the perfect dining environment have found that a happy and relaxed home is a home where the family eats together and eats plenty of desserts and often they use an age-old recipe passed down through the generations. 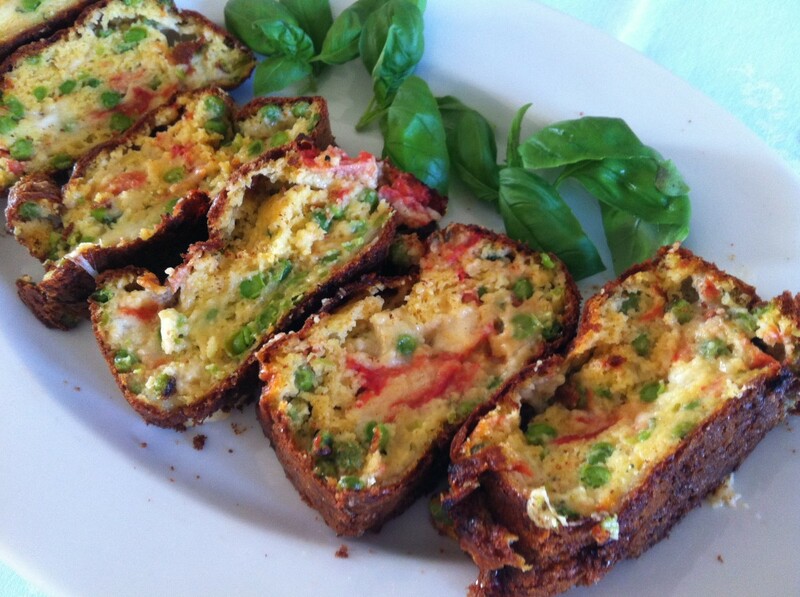 Fear of raw egg-based ingredients and Salmonella in the past made many diners cautious but pasteurised products that sterilise ingredients have irradicated this problem and it is ultimately a simple and very easy dessert to make. While elsewhere in Europe, Mrs Beaton (of cookbook fame) was concocting dessert dishes that turned the sweet courses into a celebration of the moment, with sherry filled trifle, over in Italy, they had a dessert that was a way of life, they had Tiramisu. Recipe for Smoked Salmon and Caviar bruschetta, served on homemade Ciabatta. 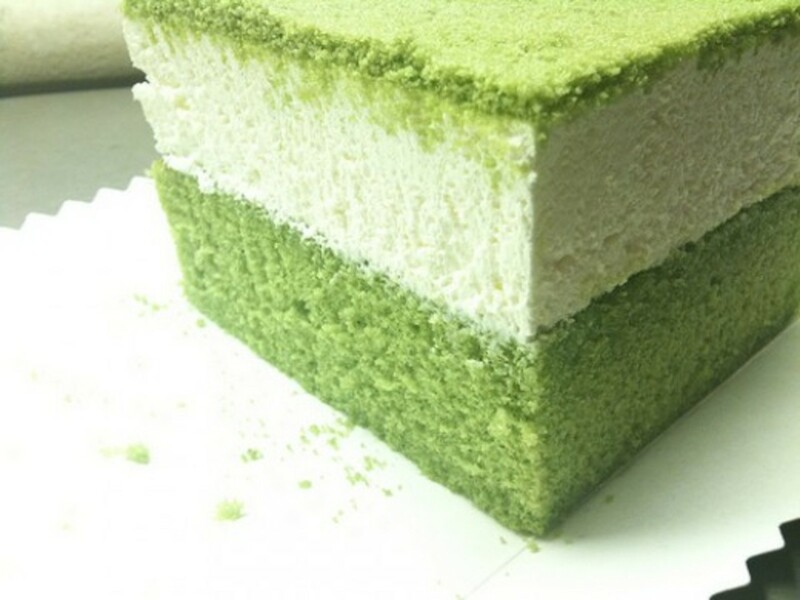 I've tried matcha "tiramisu" before but I think it's too different from the original recipe to even be considered a tiramisu. The original is always my favourite! Thank you Chitrangada, search for the dairy free, coconut cream versions too. Wow! You described Tiramisu in such an interesting way. 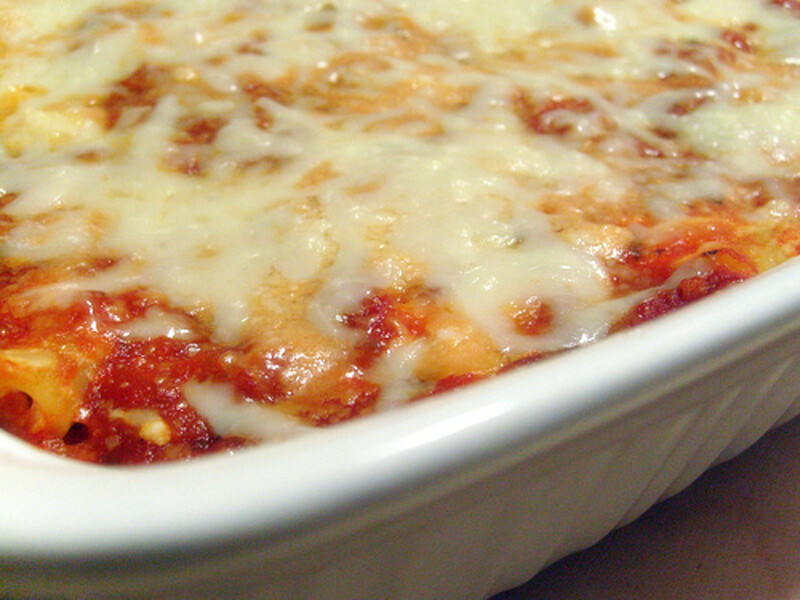 I had the privilege of visiting Italy sometime back and we enjoyed this heavenly recipe. In India also it is available in many restaurants and hotels. I didn't know so many interesting facts attached to Tiramisu. I loved your thoughts about Happy families eating together. A family that eats and prays together, always stays together. Thanks for sharing this informative and interesting hub!